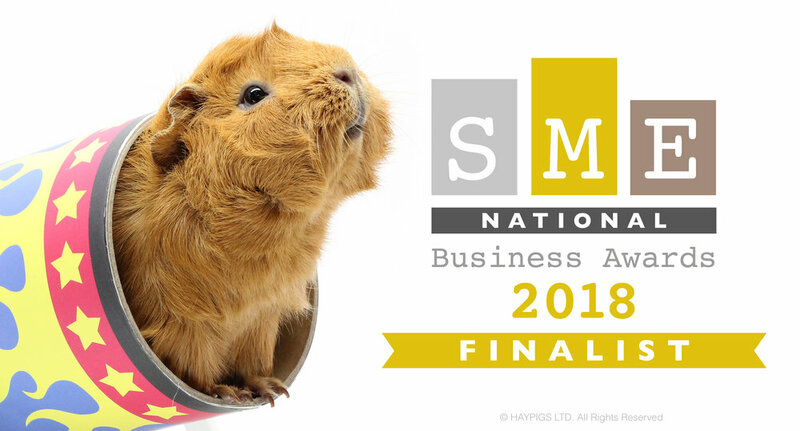 HayPigs!® is delighted to announce that it has been successful in reaching the finals of the SME National Business Awards in the Best New Business Category. "We're obviously over the moon to have reached the finals." explains Helen "What is particularly pleasing is that we are up against businesses outside of our sector, so we are flying the flag for the pet trade! We are just crossing our fingers and paws now that we can go all the way and scoop the top prize!" The awards final takes place at Wembley Stadium on Friday 7th December 2018 and, whatever the result, HayPigs!® will have plenty to celebrate after a stellar first year.